The human body is like a complex machine that is able to adapt to all sorts of environments. No matter whether you want to run an ultra-marathon or climb the highest mountain on earth, the body will find a way to adapt. The only problem with this wondrous machine is that there is no manual. There’s no one book that gives all the answers about what to do if things aren’t the way they should be. Concerning knee pain this means that finding and fixing the problem can sometimes be tricky and to understand pain, you need at least a basic understanding of anatomy. Pain, by Verano y mil tormentas. At some point in our lives we will experience pain. After an injury it’s easy to understand why you should give your body time to repair the damage, either by resting or by doing active recovery (activities that promote healing without aggravating the injury or stressing the body). What if there is chronic pain though? Say you’re experiencing pain whenever you’re performing your sport, what do you do? Here are two stories that illustrate how you could handle things in these situations. Knee pain. Most of us have it, most of us would like to get rid of it. 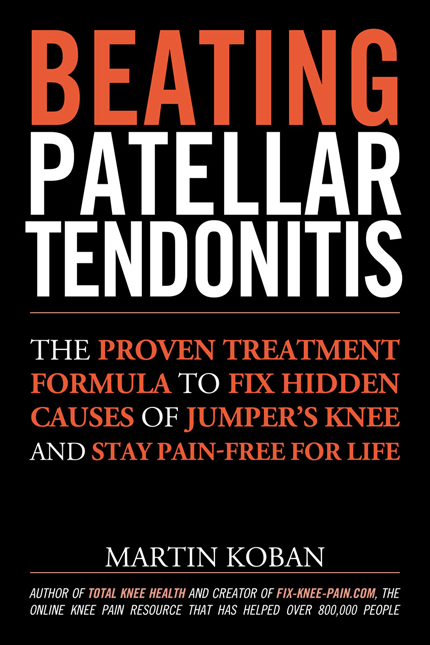 I myself have dealt with knee pain in some form or another during my time as a basketball player and before that when I was an avid jogger. Runners knee, patellofemoral pain, jumpers knee: Knee pain keeps you from enjoying the things you love and ultimately keeps you from enjoying anything. That is why I set out to find the root cause of the problem and fix it. Forever. The prospect of being one of those players with knee wraps, one of those talking about tuning their “old man game” at age 27, one of those limping of the court after the final buzzer … that prospect just didn’t appeal to me. Consequently fixing my knee pain became paramount above everything else. 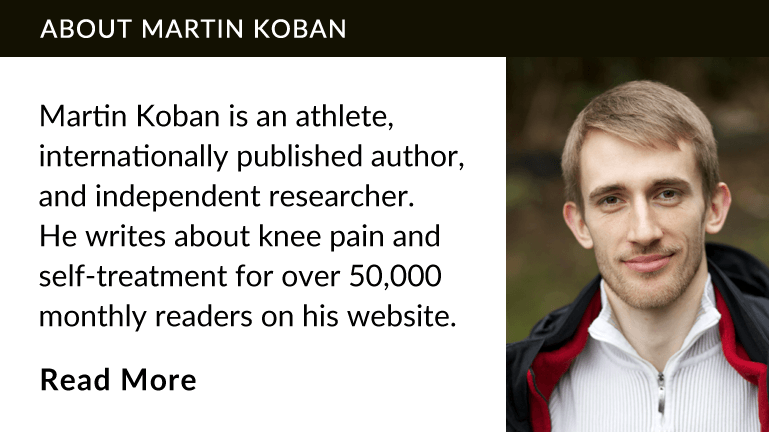 Now that I am completely pain-free, I would like to share with you how I did it and how you can fix your knee pain as well.